The Methodist Church has today voted to boycott all products from Israeli settlements in the Palestinian territories, and to encourage Methodists across Britain to do the same. The decision is a response to a call from a group of Palestinian Christians, a growing number of Jewish organisations, both inside Israel and worldwide, and the World Council of Churches. A majority of governments recognise the Israeli occupation of Palestinian territories as illegitimate under international law. Christine Elliott, Secretary for External Relationships, said, “This decision has not been taken lightly, but after months of research, careful consideration and finally, today’s debate at the Conference. The goal of the boycott is to put an end to the existing injustice. It reflects the challenge that settlements present to a lasting peace in the region. In December, Defra introduced new advice on labelling, recommending that packaging of products imported from the West Bank should distinguish between Palestinian areas and Israeli settlements. The Conference also adopted a statement calling for a full arms embargo against all sides in the conflict. “This conflict is further fuelled by partisan support by other countries. Violence from all parties in this conflict must be denounced, and a just peace sought for all peoples living in the region,” said Christine. The move to boycott is just one among a number of measures agreed by the Conference, which also include a commitment to regular and informed prayer for the needs of those in region. Methodists across Great Britain are also encouraged to visit the region, write to their MPs and engage in respectful dialogue with Jews and Muslims on this issue. “A majority of governments recognize the Israeli occupation of Palestinian territories as illegitimate under international law,” the church body said at its annual conference in Portsmouth. The church body will now encourage Methodists across the UK to follow suit. “The Methodist Conference notes the call of the World Council of Churches in 2009 for an international boycott of settlement produce and services and the support given for such a boycott by Christian leaders in Palestine in the Kairos document, Palestinian civil society and a growing number of Jewish organizations both inside Israel and worldwide and calls on the Methodist people to support and engage with this boycott of Israeli goods emanating from illegal settlements,” the church said. The resulting 54-page report produced by the church body, titled “Justice for Palestine and Israel,” met with a fierce condemnation by the Board of Deputies of British Jews, the Council of Christians and Jews and British Chief Rabbi Jonathan Sacks. Jewish community leadership organizations reacted with dismay. In a joint statement, the Board of Deputies of British Jews and the Jewish Leadership Council said it was, “This is a very sad day, both for Jewish-Methodist relations and for everyone who wants to see positive engagement with the complex issues of Israeli-Palestinian relations. The Methodist Conference has swallowed hook, line and sinker a report full of basic historical inaccuracies, deliberate misrepresentations and distortions of Jewish theology and Israeli policy. “The deeply flawed report is symptomatic of a biased process: The working group which wrote the report had already formed its conclusions at the outset. External readers were brought in to give the process a veneer of impartiality, but their criticisms were rejected. The report’s authors have abused the trust of ordinary members of the Methodist Church, who assumed that they were reading and voting on an impartial and comprehensive paper, and they have abused the goodwill of the Jewish community, which tried to engage with this issue, only to find that our efforts were treated as an unwelcome distraction,” the statement said. David Gifford, the chief executive of the Council of Christians and Jews, said he was disappointed that the Israeli narrative was not heard during the debate. 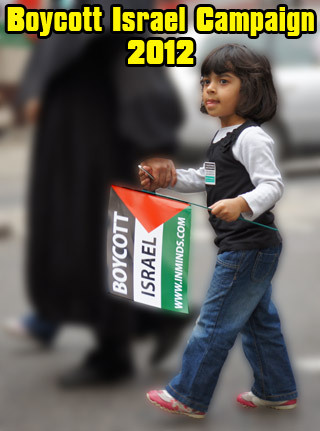 Anti-Zionist and anti-Israel activists who support a blanket boycott of Israel were the main sources of the document. 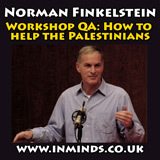 They included Israeli-born academics Ilan Pappe and Avi Shlaim; Jeff Halper from the Israeli Committee against House Demolitions; Anglican vicar Stephen Sizer; and Beirut-based journalist Robert Fisk. The Board of Deputies and the Jewish Leadership Council said the Methodists’ annual conference should “hang its head in shame” for passing a policy which calls for a boycott of goods from “illegal” Israeli West Bank settlements and blames Israeli occupation as the “key hindrance” to Middle East peace. 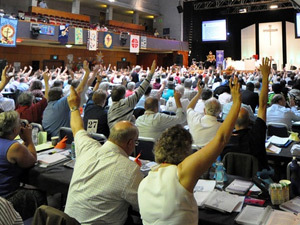 Delegates at the Methodist conference overwhelmingly passed every recommendation of the report, which also included a call to review whether Zionism was compatible with Methodist beliefs. The Reverend Graham Carter, who chaired the working party that produced the report, said that while some people had wanted a boycott of all Israeli goods, “we did not feel that was the right thing to bring to conference”. Lord Sacks said the implications of the decision would “reverberate across the hitherto harmonious relationship between the faith communities in the UK”. He blasted the report as “unbalanced, factually and historically flawed” and offering “no genuine understanding of one of the most complex conflicts in the world today. Many in both communities will be deeply disturbed”. Delegates at the conference in Portsmouth overwhelmingly passed every recommendation of the report, which also included a call to review whether Zionism was compatible with Methodist beliefs. Jewish organisations are particularly incensed that the Methodists disregarded advance warnings from the Council of Christians and Jews and other groups of the likely impact of the report on relations between Jews and Methodists. In a blistering joint statement, the Board of Deputies and the Jewish Leadership Council said the report’s authors had “abused the goodwill of the Jewish community, which tried to engage on this issue, only to find our efforts were treated as an unwelcome distraction”. The conference “swallowed hook, line and sinker a report full of basic historical inaccuracies, deliberate misrepresentations and distortions of Jewish theology and Israeli policy,” they said. Calling the outcome “a very sad day” for Methodist-Jewish relations”, they said it would “cause the enemies of peace and reconciliation to cheer from the sidelines”. An internal church memo shows that the Methodist Church had rejected calls for a more “balanced” working party, whose members included Stephen Leah, the chairman of the York branch of the Palestine Solidarity Campaign. David King, a delegate from Lancashire and one of a number of speakers at the debate who raised Jewish concerns, noted “a rise in antisemitic activity in the UK”. While the 54-page document mentions that Israelis had legitimate fears, it contains no more than a fleeting reference to Hamas. The Methodist action reflects a tactic urged last year by Palestinian churches, which denounced Israel’s occupation as “a sin against God and humanity”. The Church of England is reviewing its investment in Veolia, a company building Jerusalem's light railway amid concern that the tramline "will help to cement Israel's hold on occupied east Jerusalem". Committee of the Presbyterian Church USA, representing 3 million members, has recommended that the church call for freezing all U.S. aid to Israel until it withdraws from the Occupied Territories.